In the United States alone, the number of adults suffering from arthritis has been rampantly increasing to over a million each year. This is based on the recent study presented by the CDC, and so far, there are no signs of it slowing down. They have also predicted that by 2030, arthritis will affect 67 million people in the United States. Arthritis is classified as one of the rheumatic diseases that covers over 100 different conditions, differing in features, complications, treatments and prognoses. They are similar in terms of affecting the joints, muscles, cartilage, ligaments and tendons, and many have the potential to affect other internal body parts. These conditions range from those related to wear and tear of cartilage like osteoporosis, and those associated with inflammation resulting from an overactive immune system, such as rheumatoid arthritis. The major complaint of those individuals who have arthritis is joint pain. This may be mild or severe, but often constant and usually localized to the certain joint affected area. This pain is due to the inflammation that occurs around the joint, daily wear and tear of joints, damage to joints from disease, fatigue and muscle strains due to forceful movements against stiff painful joints. Other causes include metabolic abnormalities, a misdirected immune system with autoimmunity, and the direct and indirect effect of infections (viral and bacterial). Exercise Staying healthy is one of the major factors in reducing the risk of arthritis. Regular exercise strengthens the muscles around the joints, which helps in keeping joints from rubbing against one another and tearing down the cartilage. It also helps in improving flexibility, increasing bone density and easing pain. Recent studies have shown that moderate exercise of 5 or more days a week can easily ease the pain and help maintain a healthy weight. It also provides strength and energy needed for the day, as well as making it easier to have a good night’s sleep. It’s best to consult your doctor first on what type of exercise is best for you. Weight Control Weight control is certainly essential in reducing the risk of developing arthritis. Extra pounds contribute to excess stress on your joints, especially on the knees, hips and back. According to the CDC, individuals that fall in the obese category are 1.9 times more likely to report having arthritis symptoms. Maintaining a healthy weight reduces the risk of osteoarthritis and may decrease disease progression. A loss of just 11 pounds can decrease new knee osteoarthritis occurrence, and losing just 5% of body weight can reduce pain and disability. ease arthritis pain. Foods with Omega-3 fatty acids are also effective in reducing the risk of arthritis. These include sardines, herring, salmon and trout. There are also certain foods you need to avoid, such as protein-rich foods that are high in compounds called purines, which can make gout flare up by as much as five times more than eating foods low in purines. Examples of these are red meat such as beef, oily fish and even certain vegetables like beans, mushroom and spinach. Dietary Supplements There are numerous supplements that could help in reducing the risk of arthritis. Ask your doctor before taking any dietary supplements as to avoid overdosing, which could put you at risk to other ailments. ● Rosehip – have anti-inflammatory and painkilling effects. ● CH-Alpha – a liquid supplement containing collagen hydrolysate. Athletes taking this as a supplement, which has been shown to improve mobility and reduce pain during exertion or movement. ● Boswellia – this has been long used in Ayurvedic medicine, and used in rheumatoid arthritis treatment. ● Vitamin C and D – these vitamins has been shown to support healthy joints. Vitamin D specifically prevents the onset of rheumatoid arthritis ● Calcium – plays an important role in building strong bones, lowering your risk in developing arthritis. Osteoarthritis happens to be a kind of arthritis in which there are loss and breakdown of cartilage in one or more of the joints. Cartilage is essentially a protein substance that functions as a cushion amidst the bones. There are different kinds of arthritic conditions. Osteoarthritis is known to be the most common among them. The chances of this form of arthritis become higher with age. In the male, this form of arthritis can occur before they attain the age of 45. However, in females, the form of arthritis occurs after the age of 55 more frequently. In the country of United States, all people are affected almost equally. This form of arthritis is more common in Japanese people. On the other hand, Osteoarthritis can be seen at a reduced rate in Southern Chinese, East Indians, and South-African black people. Osteoarthritis or OA is also known as degenerative joint disease or degenerative arthritis. Osteoarthritis affects the spine, hands, feet mostly. They also affect knees, hips and other large weight bearing joints. If the cause of this form of arthritis is not unknown, it came to be known as Primary Osteoarthritis. On the other hand, if the reasons of Osteoarthritis are known, the condition is popularly known as secondary Osteoarthritis. This form of arthritis contributes to being a joint inflammation that results owing to degeneration of cartilage. The A patient suffering from this diseases will have swelling, pain and reduced motion in the joint. Injury at a particular point, age, and obesity enhance the risk of this disease. A single test is not a prerequisite for diagnosing osteoarthritis. Doctors prefer using several methods such as laboratory tests, x-rays, physical tests, medical history for diagnosing the disease. If QA worse with time, there may be broken down of bones and development of growths. Parts of cartilages or bones may come off around the joint. Inflammation continues around the body and enzymes, and cytokines cause further damage of the cartilages. Pain occurring in the affected joints are recognized to be one of the most common symptoms of OA. In night time, the pain in the joint becomes worse. There may be creaking, warmth, swelling in the affected areas. There may be stiffness and pain in the joints that occur after prolonged inactivity. In severe kind of osteoarthritis. There is a total loss of cartilages which result in friction between the bones. This causes pain with limited motion or rest. Symptoms of OA differs from one patient to the other. On the other hand, there are few symptoms, although there is remarkable degeneration of joints as per the X-ray reports. However, in few patients suffering from osteoarthritis, there is little or no pain in years. Constant pain in low back or neck counts to be a symptom of Osteoarthritis of the spine. Bone spurs that are formed along the arthritic spine can cause irritation in spinal nerves, numbness, severe pain, tingling sensation in several parts of the body. OA results in forming hard bony enlargements in small finger joints. 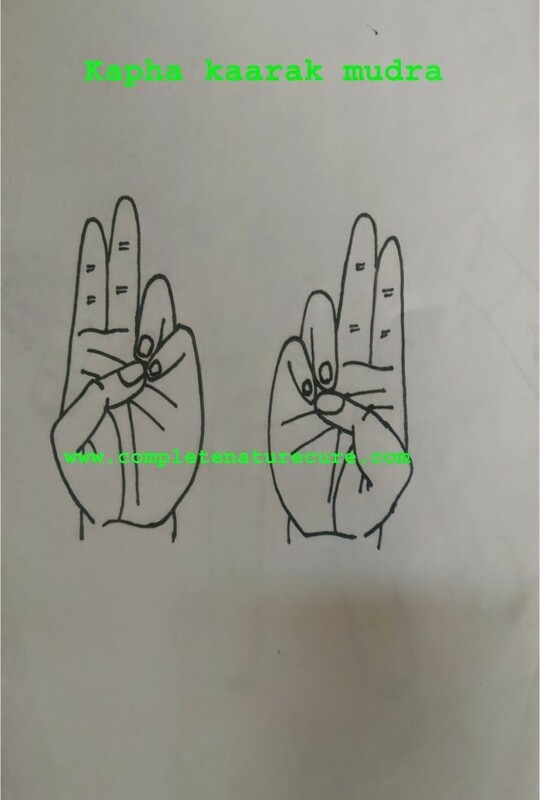 Another node is formed in the middle joint of a finger in the osteoarthritic patient which come to be known as Bouchard’s node. The stiffness and pain enhance at a faster rate after an injury. The pain is followed by severe fever. The pain is developed at a faster rate and comes with external tenderness and redness in the joint. There may be stiffness or pain in back, legs, arms after sleeping or sitting for a short interval of time. Different gene is known to be the primary cause for the development of osteoarthritis. A defect in the production of collagen, a protein that forms the cartilage is responsible for OA. This is a rare defect owing to which osteoarthritis may occur at an early age of 20. There are other hereditary traits that may be the cause of abnormalities in the way of fitting bones altogether owing to which the wearing of cartilages occur at a faster rate that usual. A gene named FAAH helps in enhancing the sensitivity of pain. It is seen at an increased rate in people having knee osteoarthritis than people who are not suffering from the disease. Obesity puts extra pressure on knees and hips. Carrying additional weight for a wide number of years can result in the breaking down of cushion joints in the cartilage at a faster rate. Statistics reveal that there is a co-relation between the enhanced chances of OA in hands and obesity. By the studies, additional fat in the tissue forms cytokines, the inflammatory chemicals which are responsible for damaging the joints. Injuries in the joints such as tears in ligaments, surgery, the fracture can be responsible for osteoarthritis. In some sportsmen, ligaments, tendons, joints are repeatedly damaged which may boost the breaking down of cartilage. There are certain jobs in which it is required to stand for a long time, heavy lifting, repeatedly bending which result in fast wearing of the cartilage. Weakness or imbalance in muscles that support joint may also lead to breaking down of the cartilages in the joints. Exercise assists in strengthening the muscles present around the joints and enhance the endurance. This is beneficial for the improvement of mobility. It is also useful in losing weight. You can go for walking, swimming, biking for at least thirty minutes on a daily basis. You should, however, avoid sports that are high impacting and raise the chances of injury. Cold and hot compresses are helpful in the management of joint pain, caused owing to osteoarthritis. A cold compress is crucial in reducing inflammation and swelling. A hot compress, on the other hand, plays an indispensable role in the reduction of stiffness and pain. You should massage the affected parts of the body on a regular basis. This is indispensable in reducing the intensity of inflammation, swelling and pain that occurs owing to osteoarthritis. Massage should be accomplished for the improvement of blood circulation. It confers relief to the inflamed muscles. You can massage the affected areas with mustard oil and camphor. Apple Cider Vinegar is counted to be one of the most excellent home remedies for osteoarthritis. The alkaline and anti-inflammatory properties are crucial in the reduction of stiffness and pain in the joints. It is helpful in removing the toxic materials accumulated in the joints. You can drink unfiltered and raw apple cider vinegar with honey and warm water daily. Epsom Salt is one of the most effective remedies for the treatment of osteoarthritis. It is considered to be one of the rich sources of magnesium that is helpful in the reduction of inflammation, swelling and pain. You can add Epsom salt in warm water and bath in the same. Repeating the same for several weeks helps in getting relief from inflammation and pain. Ginger is another effective home remedy for dealing with osteoarthritis. Extracts of pure ginger are beneficial for the reduction of pain in patients suffering from knee osteoarthritis. Ginger is considered to be a rich source of antioxidants which is useful in the reduction of inflammation, swelling and pain. Ginger is also responsible for the blockage of COX-2, a chemical responsible for causing pain. Turmeric contains curcumin, a compound that has antioxidant and anti-inflammatory properties. It is highly effective in the treatment of osteoarthritis. It also plays a vital role in slowing down the progression of the condition. The anti-inflammatory properties and presence of antioxidants present in Fenugreek seeds help in the management of swelling and pain that is caused by osteoarthritis. The essential vitamins and minerals present in the seeds are a prerequisite for healthy tissues and bones. Green Tea is crucial in controlling and preventing osteoarthritis. The antioxidant and anti-inflammatory properties help in the reduction of swelling. It is also beneficial in maintaining the strength of bones and preserving density of bones. Cinnamon is also helpful in fighting swelling and joint pain; It is indispensable in relaxing stiff muscles. This yoga pose helps to loosen the muscles. This pose is considered to be effective in reducing knee pain. Virasana is recognized to be one of the most effective yoga poses for reducing osteoarthritis pain in knees. Vrikshasana helps in strengthening the back. If you are suffering from low back pain, this pose helps to reduce pain caused owing to osteoarthritis. Setubandha Sarvang Asana is beneficial for people suffering from OA. Osteoarthritis is recognized to be one of the most common types of arthritis. Home remedies and yoga on a regular basis helps in dealing with the same. Rheumatoid Arthritis (RA) is an autoimmune disease in which the body’s immune system mistakenly starts to attack the lining of the joints. Although there are expensive medical treatments for RA, there are also effective natural remedies.When the bodies immune system gets confused and starts attacking the lining of the membranes around the joints, it causes muscle and joint pain, swelling, stiffness, and fatigue. Even thought the inflammation comes and goes, over time the damage to the joints becomes permanent. RA is most common in men over 40, but anyone can have it. There is not a cure for RA, but there are several home remedies that can ease the symptoms of RA, and even prevent them. A recent study done in 2012 showed that curcumin, the active ingredient in turmeric, actually work better than non-steroidal anti-inflammatory drugs (NSAIDs). Turmeric can be found in capsule form, or you can make a simple turmeric tea by boiling a quart of water and adding a tablespoon of turmeric powder. It is also useful as a spice to add to your daily cooking. The key to AVC’s effects on RA is in it’s Mineral Content. ACV contains calcium, magnesium, potassium, and phosphate – all of which are great for your joint health. ACV also helps relieve pain and swelling. Besides mixing ACV with water and drinking it daily, you can also massage it into the skin directly on the affected areas when you are experiencing RA pain. Garlic is naturally effective at blocking the production of pro-inflammatory substances known as cytokines. This helps reduce pain and swelling caused by RA. Garlic also helps boost the immune system, and prevents damage from free radicals in the joints. Simply eat a couple of raw garlic cloves daily, or take garlic capsules. Epsom salt is a great remedy for relieving RA pain and swelling. Epsom salt naturally balances the body’s pH levels and relieves inflammation. All you have to do is add 2 cups of epsom salt to a hot bath and soak in it for 30 minutes a day. The magnesium in epsom salts is absorbed into the body, and RA symptoms are greatly reduced. Gingerol, a compound in ginger, has natural anti-inflammatory properties that help reduce pain, inflammation, and swelling. Ginger has been used for centuries in traditional medicine, and is proven to work. You can rub ginger oil of affected areas, or simply just chew a few slices of ginger every day. Ginger teas are also an easy way to get the benefits of ginger. Although it seems counter productive, exercise is very effective at treating and preventing RA. Regular exercise strengthens muscles, reduces fatigue, and increases your range of motion. Range of motion exercises are the most important and should be done for 30 minutes daily. Strength training and cardio training should also be incorporated for 30 minutes at a time, 3-4 times a week. – Eat cherries Complete natural treatment chart for rheumatoid arthritis Vegetable Juice Therapy for rheumatoid arthritis :If you are facing severe problems then ,it is better to take a vegetable juice therapy for about a week. Green juice extracted from any green leafy vegetable mixed with carrot & beet juice. You should repeat the juice fast at interval of every two months. Raw Potato Juice Therapy For Rheumatoid arthritis :Raw potato juice therapy will give you relief from sever pains of rheumatoid arthritis.Cut the potato into thin slices without peeling the skin & place over night in a large glass filled with cold water. This water should be drunk in the morning on empty stomach. Fresh Juice can also be extract from Potatoes & drunk diluted with water 50:50, first thing in the morning. Diet Cure Chart Rheumatoid Arthrities :Diet plays an important role in healing process of rheumatoid arthritis.This diet chart will be helpful for your diet plan,you can adjust little bit.A. Upon Arising: A glass of luke warm water with a half a freshly squeezed lime and add honey.B. Breakfast: Orange, apple or any fruit (except Banana) and cup a cup of hot milk with Oval tine.C. Lunch: First take salad with tomato, carrot, radish, cucumber, wheat bread green vegetable.D. Afternoon: Fresh fruit, salted biscuit.E. Dinner: Same as lunchFoods To Avoid: Tobacco, Alcohol, Refined & Fried Food, Meat, Tea, Coffee, Cold Drink, Ice cream, Rice, Sugar, Processed & Canned foods, Cauliflower, Lady Finger, Arbi, Red Pumpkin, Brinjal, Urad Dal, Rajma, Sour food, Curd, Pulses, Milk & Milk Products.Beneficial Foods For Quick Healing : Pineapple, Apple, Cucumber, Garlic, Alfalfa, Aloe, Amla, Pepper, Nut mag, Ashvagandha, Lime. Effective Home Remedies For Rheumatoid Arthritis:1. Alfalfa: Alfalfa tea from its seeds is effective.2. Amla: Tablespoon of powder with two tablespoon of jaggery twice a day for four months.3. Cucumber: I juice with carrot and beet found effective.4. Garlic: Garlic, Cloves found effective.Note: Do not use any home remedies continuously at least keep a gap of 10 days & then restart it again.Hydro Therapy For Rheumatoid Arthritis :A. Steam Bath B. Hot Foot & Arm BathC. Cold inflamed joinD. Ice treatmentAuto-Suggestion For Rheumatoid Arthritis :1. Every day in every way, I am getting better and better.2. I am love. I how choose to love & approve of myself. I see other with love.Repeat this affirmation as much time as you can. 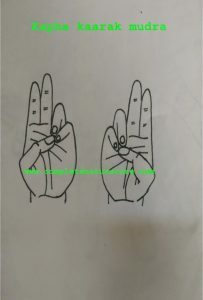 Especially early in the morning when you get up and when you are going to bed.Acupressure Therapy For Rheumatoid Arthritis :First relief point: 4 Ais above inner ankle bone and 1 AI inside edge.Second releif point : 6-1/2 AI below knee cap along the outer edge of central bone.Third relief point : In the shallow space between front of inner ankle bone and stringy muscle at the top of the foot.Fourth relief point: 3 AI above the top of knee cap and slightly outer side from center of leg width.Massage and apply pressure on this point for three to for minutes.If you need a ansthetic effect hold for four minutes.Mudra Treatment For Rheumatoid Arthritis :Vaayu-shaamak , Vaata-naashak,Prithvi-vardhakJal –vardhak ,Kapha-Kaarak ,Apaan- vaayuThese mudras are very effective it will give you complete relief from rheumatoid arthritis.Yoga Asana And Pranayama For Rheumatoid Arthritis Bhujang asana,Shalabhaasana,Vipritkarni,mastya asana and shavasana are best asanas for rheumatoid arthritis.It is difficult perform asanas when you are facing arthritis but its effective try to do it.Pranayama is another effective remedy for rheumatoid arthritis.Anulom vilom,bhramari,kapalbhati and bhastrika are beneficial to over come These treatments are enough to give you complete relief from rheumatoid arthritis.If you feel this articles is helpful please share it.If you need any assistance please contact us or leave a comment.Thank you for visiting.itis I. Vegetable Juice Therapy: In severe cases it will be advisable to put the patient on a vegetable juice therapy for about a week. Green juice extracted from any green leafy vegetable mixed with carrot & beet juice. Repeat juice fast at interval of every two months. p; I am love. I how choose to love & approve of myself. I see other with love. Repeat this affirmation as much time as you can. Especially early in the morning when you get up and when you are going to bed. Juice od Sour Cherry, Pineapple, Sour Apple, Lemon, Grapefruit, Cucumber, Beet, Carrot, Lettuce and Spinach are the best choice for the treatment of Arthritis. Arthritis is the most common and painful disease of the modern age. And many of my readers are suffering from this disease. I wish my reader to be healthy and to be happy. So I would like to share this post ” Ayurvedic treatment for arthritis” Some Ayurvedic point of view about arthritis. 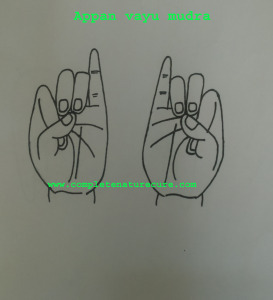 In this post, you will get Causes of arthritis according to Ayurveda, Ayurvedic remedies, Medicated oil for massage, Home remedies, and Mudras for arthritis. Arthritis, in general, means any kind of general pain inflammation, stiffness in the joints or any immobility. There are hundreds of joint pains which are commonly called as arthritis. But in Ayurvedic perspective, the root cause of arthritis is considered to be mainly Vata. Vata causes dryness in the joints and it causes degeneration or some kind of dryness of synovial fluid. Due to dryness in the joints, a cracking noise is produced. Also, the joints become very dry when there is too much Vata in the body. It effects in the nutrition, it affects our digestion and also our food which contains nutritious does not get digested properly and the nucleons are not absorbed by the body.These leads to the bones to weaken. The second cause that described in the Ayurveda about arthritis is the formation of toxin in the body. The toxic material “ama” is formed as a result of undigested food. Ama is the sticky material. It also goes and deposited in the joints and blocks the vata and other different nutritious. 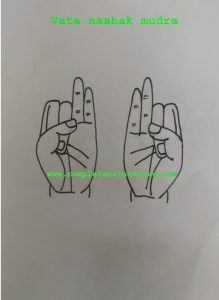 If this is the problem then there is a swelling in the joints and the joints become swollen and this particular disease is named as “Ama Vata”, there are ama and vata. 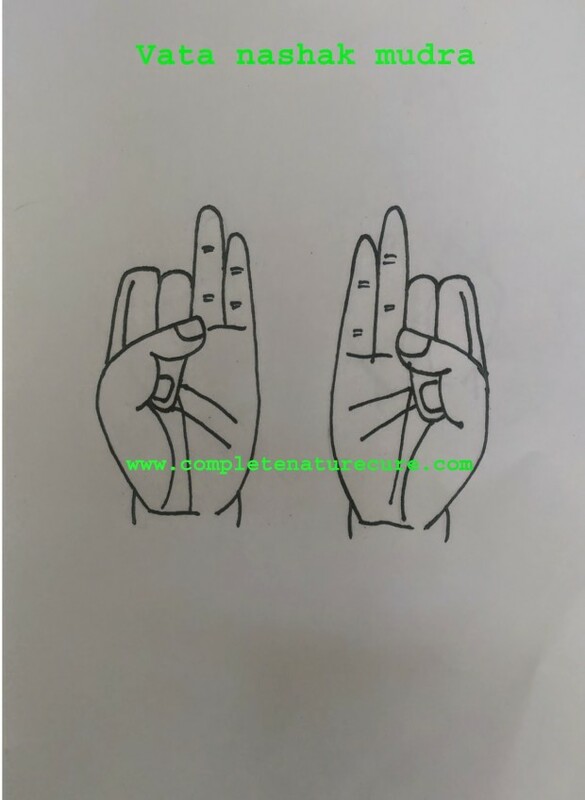 There is another type of Vata that is ” Sandhi Vata “.when only vata is deposited in the joints which are mostly considered to be osteoarthritis. Another type of Vata is vata rakta, where there is some involvement of pitta or heat. Pitta makes the blood impure. 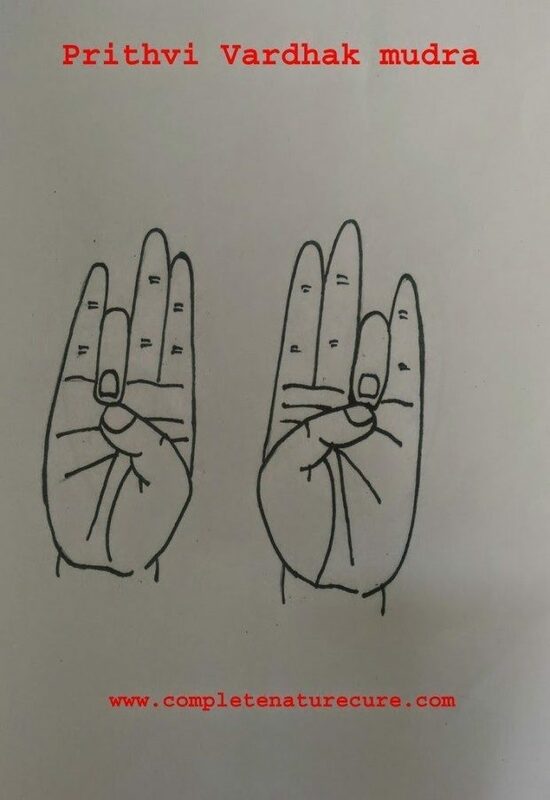 When the blood is impure it goes and manifest in the fingers and the toes or ankles and also in other joints this is called vata rakhta. This is considered as gout in the modern age. So there are so many types of problems in the joints. Arthritis is becoming one of the most common problems in the modern age. technically in the earlier age or ancient times, it was considered that the old age was the cause of the joint pain. But these days we can find a different kind of joint pains or arthritis even at the young age. So what can we do to prevent joint pains? Simplest thing as I mentioned earlier about Vata.We have to learn how we can keep vata under control. Vata is dry so we need to lubricate our body. Oil massage is a very nice technique. Regular oil massage with olive oil mastered oil or any other oil will be wonderful for your joints, not only for joints but also for your muscle. Every day sesame oil massage is a wonderful thing to prevent joint pain and also helps to keep your joints more healthy and in good shape. If you want to make a little medicated oil.Then you can chop off some fresh garlic, fresh ginger and add it in sesame oil and cook in the slow heat. One teaspoon of each in 100 ml of sesame oil when it is cooked filter it, this oil is quite warming.You can use it in back pain, neck pain or any other pains. It is a wonderful remedy. Take care of joint pains,You have to remember an important thing that internally you should not eat too much of vata type food, which means a lot of cold things, cooled foods, and also, too many dry foods, crunchy, crispy, chips, popcorn or dry vegetables, these are not good. Also, beans, cauliflower or those foods which are gas forming should be avoided. Especially if you are suffering from joints pains, also it is very important that there is no Ama formation in your system. Which means you should keep your digestive system good. The very simple remedy you can use at home takes a fresh piece of ginger and eat it before you eat your food. Just four minutes before you have food eat a small piece of fresh ginger. This will help in digestion. Also, there is a very simple recipe. I am telling you something that you can find in your kitchen get some fenugreek, turmeric powder and ginger powder, all in equal quantities, make a mixture and take one tablespoon morning and evening, either with milk or warm water. This is also wonderful remedy and gives strength to the cartilage and also helps in relieving joint pains, these are simple things you can do in your life. But most important thing is to do some regular excessive, yoga, walking, swimming, stretching, but don’t over exercise, don’t sit for long hours, also don’t be inactive in physical matters. 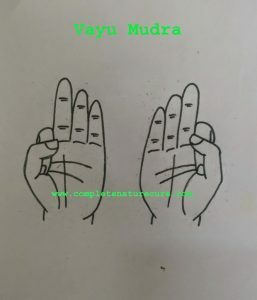 Vaayu mudra, Prithvi mudra, Varun mudra, Vaata-naashak mudra, Pran mudra, Apaan mudra and Apana Vayu mudra is very useful in the treatment of arthritis. 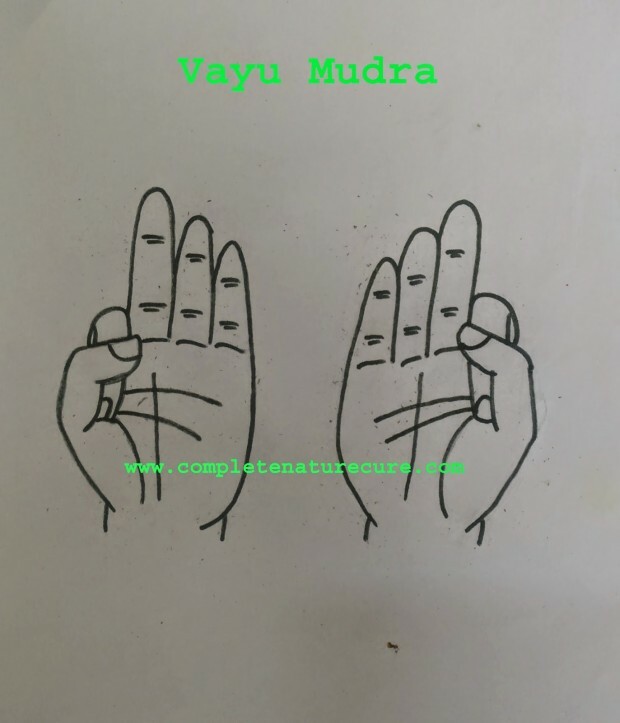 more about vaata-nashak mudra click here. And most important thing is you should not feel that the joint pains cannot be recovered. Many people feel that my joints are old and there is degeneration. These are not good thoughts be positive. I hope these things will help you. Rheumatoid arthritis is a chronic disease process and a painful condition.It is a serious illness that effects all the body parts like, joints, fingers, wrists,hips,knees,boots,muscles,tendons and other tissues of the body. This disease forms due to an inflammatory process of the synovium or lining of the joints. Rheumatoid arthritis never happens over night it will take several months.It develops gradually over several months of pain and stiffness in the joints.The primary causes of rheumatoid arthritis are hormonal imbalance, physical and mental stress, infections,sever fright, shock and injury. The primary symptoms of rheumatoid arthritis are anaemia, colitis, constipation,gall-bladder disturbances, low blood pressure and deformed hands and feet. 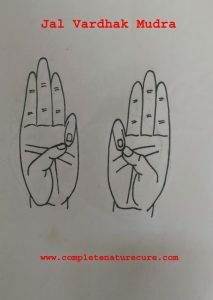 In Ayurveda treatments of rheumatoid arthritis If the bigger joints are affected by the disease then Brihadvata Chintamani is the primary drug is using for quick relief. .250gms of brihadvata chintamani mixed with honey can be taken two to three times.If you are suffering from a long period and sever pains you can take it three times a day. 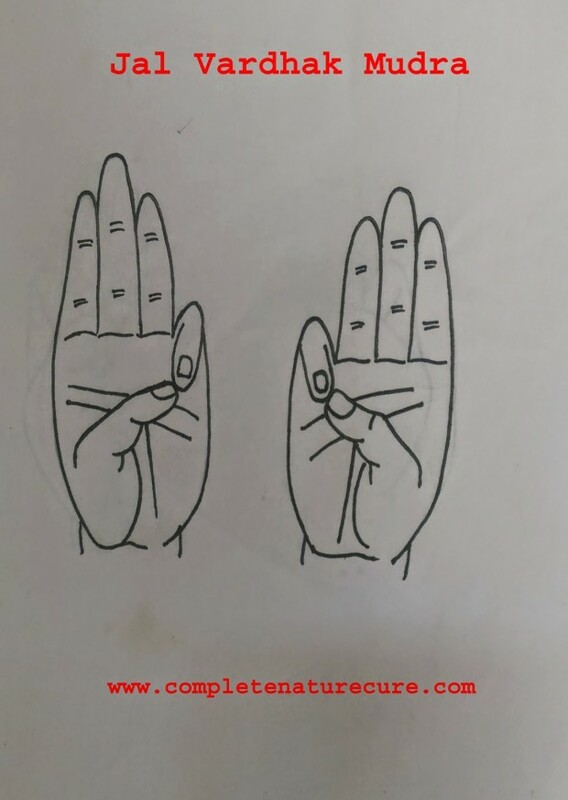 If you are in an early stage of the disease, then Mahayogaraja Guggulu is the best choice.You can make this in a dose of two tablets four times in a day.After the tablets are taken, you should drink hot water or hot milk.To get an optimum result, it is better to take in an empty stomach. Massaging with the medicated oil Mahanarayana taila is very useful.It is better that it luke warm before use.If you are in a severe stage, and your spine is also affected by this disease, then you can take a higher dose of Brihadvata Chintamani and decrease it after a week. If you are not constipated, then this medicine will give you quick and better results in a short period. If you are constipated, then you should take castor oil in the evening to relief constipation. If you are in the severing stage, then you can make a decoction of ‘Maharasanadi Katha’ in a dose of six teaspoons per day. These are the primary treatments in the Ayurveda for rheumatoid arthritis. If you are in a severe stage of rheumatoid arthritis, then it is advisable that you should take a one-week raw vegetable juice fasting. The extracts of Green juice obtained from green leafy vegetables and mixed with one of these juices of carrot, beet, celery is very active.The alkaline effect of raw vegetable juices dissolves all the accumulation in the joints and other tissues.IF you are not able to take continued fasting, it is better you can make a small interval of repeated fasting in a period of two months. Raw potato juice is used in the treatment of arthritis from the ancient times.You can prepare it by diluting the juice with 50% water.Or soaked water for overnight and drinking the water in the morning. If you are in a painful situation, then Black gingerly seeds, soaked in water overnight is very effective. Drinking water from copper containers are found beneficial, or you can use a copper ornament or bracelet. If you are feeling severe pains in the joints then coconut oil or mustard oil mixed with camphor and massage the joints to get instant relief. Sea bathing is very beneficial, the natural iodine in seawater will be used as a pain reliever.If sea bath is not possible then in a tub of lukewarm water and adds 200 gm of sea salt and relax for 30 minutes in it is very efficient. Upon Arising: A glass of lukewarm water with a half a freshly squeezed lime and add honey. Breakfast: Orange, apple or any fruit (except Banana) and cup a cup of hot milk with Oval tine. Lunch: First take a salad with tomato, carrot, radish, cucumber, wheat bread green vegetable. Afternoon: Fresh fruit, salted biscuit. BENEFICIAL FOODS: Pineapple, Apple, Cucumber, Garlic, Alfalfa, Aloe, Amla, Pepper, Nut mag, Ashvagandha, Lime. Alfalfa: Alfalfa tea from its seeds is useful. Amla: Tablespoon of powder with two tablespoons of jaggery twice a day for four months. Cucumber: I juice with carrot and beet found effective. Garlic: Garlic, Cloves found useful. Note: Do not use any home remedies continuously at least keep a gap of 10 days & then restart it again. Every day in every way, I am getting better and better. I am love. I how to choose to love & approve of myself. I see other with love. Repeat this affirmation as much time as you can. Especially early in the morning when you get up and when you are going to bed. Trikonasana,bhujangasana,Shalabhasana,nauksana,Vakrasana and Shavasana, Are very beneficial for you if you are suffering from rheumatoid arthritis. 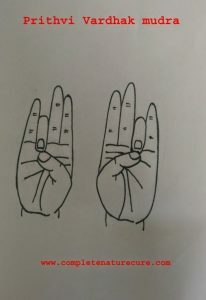 Anuloma viloma,ujjai and bhramari pranayamas are very effective in the treatments of rheumatoid arthritis. Light exercises like walking, swimming,hiking and yogic kriyas like jalnei and kapa bhakti is very useful. 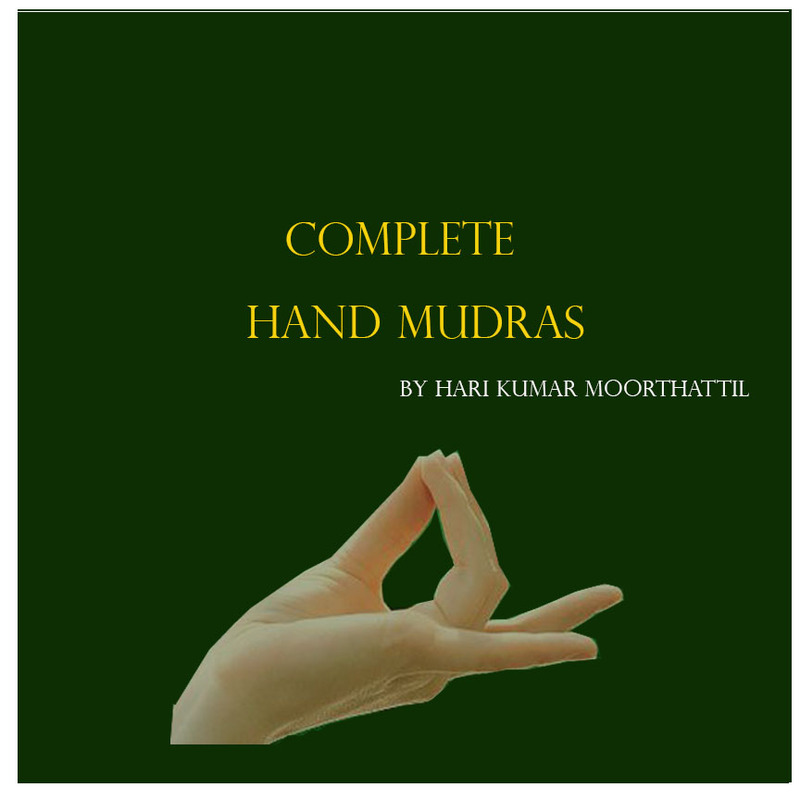 These mudras are very useful it will give you complete relief from rheumatoid arthritis. If you have rheumatoid arthritis, then you should avoid, Rice and sour things like curd, preparation of pulses and fried things and all the foods which is constipating. You should stay away from cold, rain and cold water and all the cooled drinks. AVOID: Tobacco, Alcohol, Refined & Fried Food, Meat, Tea, Coffee, Cold Drink, Ice cream, Rice, Sugar, Processed & Canned foods, Cauliflower, Lady Finger, Arbi, Red Pumpkin, Brinjal, Urad Dal, Rajma, Sour food, Curd, Pulses, Milk & Milk Products. These are the different and alternative natural treatments of rheumatoid arthritis. All the information and advice in this article are for informative purpose only.Don’t take action without consulting your doctor or any other health experts. Thank you if you like this article please share it in your social profile.